HOW PERSUASIVE IS YOUR SALON TEAM? AND WHAT TRAINING DO THEY NEED TO CONVERT MORE CUSTOMERS? The ongoing retail challenge, is how to comfortably convert client enquiries, into confirmed bookings – be that for an individual service, or a program of treatments. 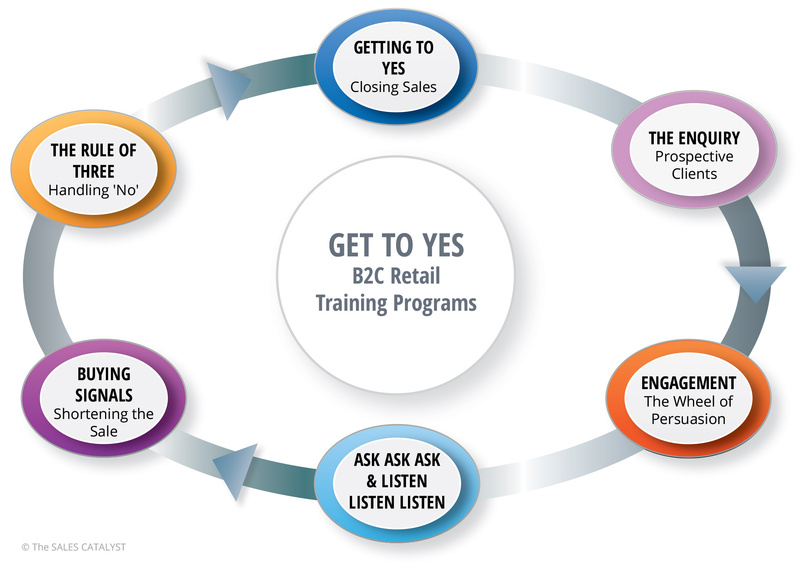 B2C retail training helps resolve the problem in three ways: it positively shapes interactions between your customers and team members, it puts customers at ease and inspires your team to engage in conversations. Neil teaches a style that’s different – specifically suited to the salon and clinic markets. Built on decades of work in the industry, it’s non-pressure, question-based and very persuasive. 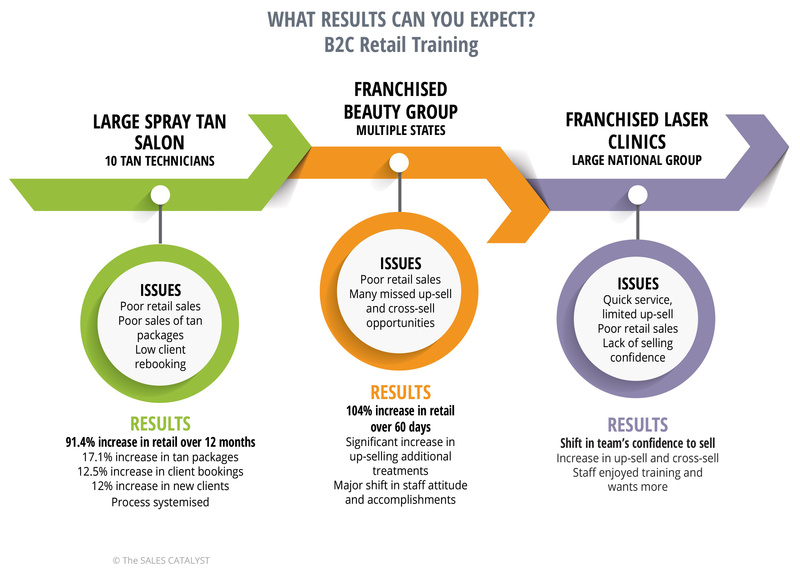 Every B2C retail training program is designed to create results and has been developed, tried, tested and proven to work in the hair, beauty and body industries. Which type of business are you? If you want your salon team to improve their interactions, have conversations that build relationships and convert enquiries into confirmed bookings, then our B2C retail training will undoubtedly change your hair, beauty or body business, no matter the size. For many businesses, a single customer can be worth thousands of dollars over the course of their lifetime. Everything you do should be aimed at attracting them, acquiring them, converting them, getting them to return and for them to refer their friends. Our industry-specific B2C retail training is personalised to each company’s market and their problems.